As technology continues to evolve at an incredible clip, it is tough for businesses to stay relevant. The Internet has offered companies of all sizes the opportunity to benefit from these technologies, but sometimes the implementation can be intimidating. One such technology, high definition live streaming, is an innovation that companies should look to use due to its many benefits. Providers like TikiLIVE offer incredibly easy to use interfaces that allow anyone to create high quality video with very little experience. 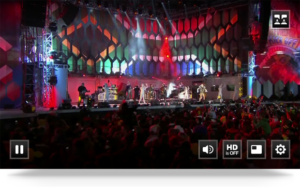 In this article we’ll go into a few of the many benefits of high definition live streaming. Stop and think about how different the business world was even just 10–15 years ago. If you were a business owner then, you truly understand how far we have come in terms of technology. In today’s fast paced business world it is imperative that you stay current with all of the latest technologies, one of which is HD live video streaming. Live video streaming allows you to instantly get your message out to the entire world with just a few quick clicks. Live streaming is a great way to get your message out to a huge number of users with relative ease. TikiLIVE offers an easy to use interface where you can stream live video content to users across the world for a relatively small fee. Years ago if you were looking to distribute video content you were forced to use television. Today, more and more people are using online services such as Hulu, Netflix and Amazon to view streaming content on their televisions. By streaming content online you can ensure that your videos are available alongside the big providers through IPTV. TikiLIVE offers full IPTV support through Roku devices or through a white label set top box device for those that are looking to launch their very own IPTV network. Mobile Internet usage continues to explode as faster phones with larger screens are regularly released. Ensuring that your live streaming content can be viewed across all types of mobile phones and tablets can become a chore itself. By partnering with a company like TikiLIVE you can leave these technical details to the professionals and simply focus on creating high quality content. TikiLIVE offers full mobile support for all types of smartphones and tablets through HTML5, which is a relatively new technology that allows your video content to be tailored based on your user’s device. This means that no matter what type of device your viewers are using your content will look perfect. Attempting to invest in this type of technology on your own could cost you a fortune. TikiLIVE has done all of the legwork to make streaming your videos to mobile devices a snap! Streaming your content online is much more cost effective than other marketing methods such as television or radio. Not only is streaming content online cheaper, it also allows you to completely tailor your content to your users. Through TikiLIVE’s robust backend you can see which videos are performing well to help you tweak your video campaigns on the fly. This level of customization is unheard of in the radio or television industry and could mean the difference between a profitable and catastrophic marketing campaign. Streaming online also gives you a variety of options when it comes to monetizing your content. If you have a loyal following you should easily be able to charge “admission” to view your live streaming events and also charge for access to your videos after they have been broadcast. This allows you to make money when you are streaming your content live as well as generate income long after your live broadcasts are over. This can be a great way to generate passive income for your group or organization without any additional work on your part. Credibility is extremely important, especially online. Having videos outlining your products or services online can go a long way in terms of building trust with your customers. Putting your face or the face of your employees in a video can instantly allow your customers to relate to you as a person instead of a company. More and more companies are beginning to realize the benefit of featuring their employees in videos and are seeing positive results from investing in video streaming online. Sometimes telling someone how to do something is not as effective as showing them. This is especially true in very technical trades where processes can become quite complicated. Video streaming lends itself perfectly to this type of application. If your company provides a complicated product or service, why not record common problems that your customers have encountered so that you can reduce support requests? When customers ask these repetitive questions you can simply direct them to your online videos, which solves customer problems while also saving your company money in lowered support costs. Live video streaming also offers companies higher levels of engagement with their users. With TikiLIVE, you can even offer live chat to further connect with your users. Your users will appreciate being able to interact with you outside of simply watching your video content. Social media is extremely important to ensure that your streaming content is marketed properly. With TikiLIVE you can instantly share social media updates across all of the major networks to ensure that your users are always up to date with what is going on with your group or organization. TikiLIVE makes the process of sharing content to social media networks extremely easy. 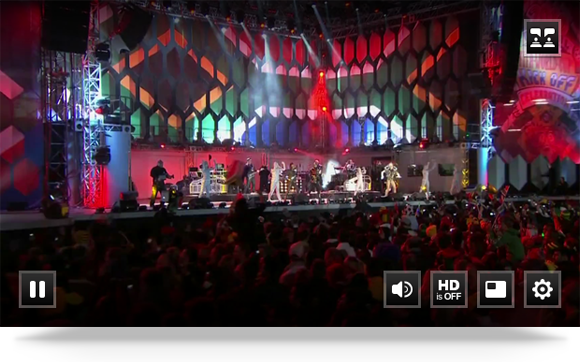 As you can see, high definition video streaming can go a long way in terms of growing your brand online. By partnering with TikiLIVE, you can leave the technical details to the experts and simply focus on generating incredible content. For more information on our wide variety of video streaming packages contact us today!